Three days of painting down in Cape May County. Stunning views and flawless weather for the Wings n Water Festival. 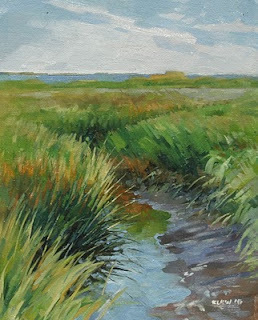 It's been great painting along with some of the best plein air painters in New Jersey! You've never been to art school? I have, and I can't paint as well as you. Please visit my blog at http;//foreverkindayoung.blogspot.com and consider following. I noticed your interest in magic realism.